BAGHDAD – Spotting irregularities is a tactic that is drilled into the minds of Multi-National Division – Baghdad Soldiers throughout training and in practice while in Iraq. Soldiers recently watched as a car pulled up to an entry control point at Forward Operating Base Callahan in northern Baghdad. They continued to watch as a woman stepped out of the car holding a bag. Once the woman dropped the bag near the gate, internal alarms were ringing and a careful search was called for and conducted. This unlikely sight brought images of the Las Vegas native’s two children to mind. “It was like my kids were newborns again,” said Briscoe, who serves with Headquarters and Headquarters Company, 1st Combined Arms Battalion, 68th Armor Regiment, 3rd Brigade Combat Team, 4th Infantry Division, Multi-National Division – Baghdad. After the medics were satisfied the baby, who by this time had drawn the nickname “Alex Callahan” after the Soldier who found him and the name of the base, was in no need of immediate medical attention, the focus shifted to what they would do with the child. While a forward operating base isn’t the ideal location for a baby, Soldiers and those working at FOB Callahan ensured that Alex’s stay there was as comfortable as possible. The baby is to be adopted by the brother of a local national, who works at the base. The brother and his wife have been married five years and have been unable to have a baby of their own. The interpreters at FOB Callahan have taken a collection to donate to the family to help care for the baby. Despite the thousands of miles that separates the Soldiers from their Families in Colorado, one constant remains with this baby and those they left behind. “He’s sleeping and pooping – just like a regular baby,” Briscoe said. What an awesome story!! Aw! I love good news from the front! That is my husbands batallion!! He didn't tell me that, But sweet story. 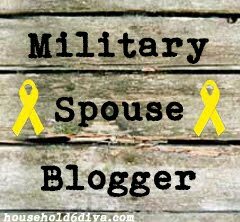 The True Babblings OF A Military Wife and Crazy Rants OF A Everyday Housewife! 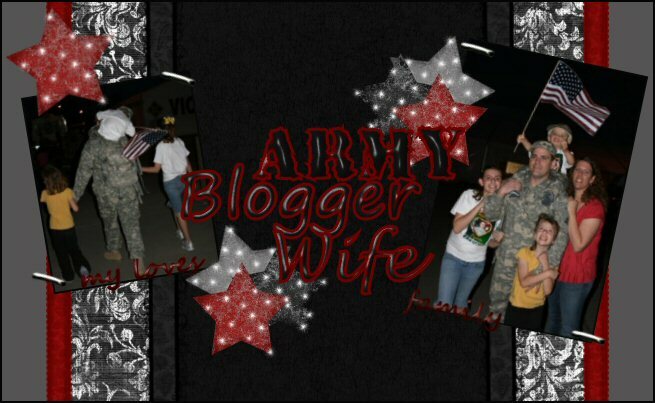 We have survived four year long deployments--one to Bosnia and three to Iraq. We have been married for almost 17 years and have three children--Em, Abs, and Junior. Gunner is currently deployed for the 5th time to Afghanistan. We are fast approaching the year mark, and then we will focus on the prize--retirement!